Eleotin® is a safe health food. It is an all-natural, safe, and gentle herbal product with no harmful side effects. Eleotin® restores the body’s own ability control its blood glucose levels. Eleotin® is the most scientifically superior herbal combination presently on the market. • Eleotin® gently helps to control blood glucose levels not only temporarily, but also results in long term permanent or semi-permanent molecular level changes. • Eleotin® helps regenerate the insulin receptors of muscle or liver cells. It also helps regenerate the insulin producing ß (beta) cells in the pancreas. These two molecular level changes improve insulin production and binding, and therefore assist the body to control blood glucose levels independently. These changes, in turn, assist the body to recover glucose metabolism normalcy. • Eleotin® usage may then be diminished or eliminated as the body restores its own ability to control blood glucose levels. • Also, Eleotin® can lead to the reduction and possible total elimination for dependency on synthetic medication and insulin injections to control glucose levels. Eleotin® was initially developed by the scientists at the Julia McFarlane Diabetes Research Center (JMDRC) at the University of Calgary in Alberta, Canada. The JMDRC is a leader in research on the cause, cure, and prevention of Type I and Type II diabetes. Eastwood Bio-Medical Canada Inc. (EMBR) and other researchers then continued the research and development. The combination approach of Eleotin®’s herbs are based on this. This principle states that states that certain combinations of herbs exist whose total beneficial effects are synergistically larger than the sum of each herbal components individual beneficial effect. Also, this superior combination effect may also reduce adverse side effects while diminishing potential toxicity. This is achievable by way of mutual cancellation. The question, according to this principle, is how to find such a combination. The same was true for Eleotin®s development process. In order to find the right combination of the approximately 1,500 natural substances with known beneficial and toxic effects, there was endless testing. The current version of Eleotin® is the best natural food product for diabetics presently marketed. Eleotin® enables the body to naturally control blood glucose levels so that in the long run, the body can return to more normal blood glucose levels. In the meantime, Eleotin® also provides temporary relief and a gentle treatment to sufferers. Do you know that each year more than a hundred herbal diabetes products appear on the market, and most of them disappear in 6 months? Eleotin® was first produced in 1997 and by 2003, it has approximately 40,000 users. How Do You Move in an Elevator? It is difficult to believe. It is difficult to believe that a “gentle and safe” food product can treat such a lethal disease more effectively than the existing “super-strong” drug treatments available. But think of an elevator. When you are in an elevator, do you go to a higher floor by pushing the wrong button with more strength, or by gently pushing the right button? Eleotin® is like pushing the right button. We have been conditioned to believe that synthetic pharmaceutical drugs must be better, especially when they’ve been prescribed by doctors who “know best.” And it’s also understandable to think that serious problems should be dealt with serious and potent methods. But, what our body needs in this case is not a strong stimulus, but proper balance. The correct use of a gentle food or herbal combination is much better than the use of strong, intrusive chemical drugs that can otherwise harmfully target organs. This principle is especially true for serious diseases that affect many parts of the body. Usually, drugs trigger a powerful stimulus that have a positive short term effect. But these drugs in the long run can cause drug resistance and lead to other numerous negative side effects. Proper treatment would help all the internal organs and inner mechanisms to function better. This is achieved by gently restoring balance to a body that has lost its rhythm and its own ability to heal itself. The body can heal itself of most diseases, and in many cases the only thing we have to do is trigger this self-healing ability. In order to do this, we do not need strong chemical signals. The same principle is true for diabetes. Curative actions should occur simultaneously and in harmony for successful treatment of diabetes over a long period of time. Existing drug treatments for diabetes demonstrate short term strengths, but have their limits. Diabetic drugs affect only one or two metabolic processes. They are unlikely to help the complex metabolism associated with diabetes as a whole. In fact, the concentrated focus of chemical drugs results in cumulative toxicity and seriously strains the body. They often contribute or cause permanent damage to these organs. This damage can be worse than the damage caused by diabetes itself. Natural products are far more advantageous for diabetes than chemical drugs. Chemical drugs provide only temporary glucose control. In the long run, their concentrated and toxic chemical actions can cause severe damage to a persons liver and kidneys. It is strongly recommended that people use food products or herbal combinations that are gentle and safe as their first and best line of defense. Eleotin® offers this line of defense. Eleotin® contains gentle and mild signaling which often produce much more beneficial results than chemical drugs. Eleotin® is the most scientifically superior herbal combination presently on the market. Up to 10 years ago or so, western medicine was impervious to the idea of herbs helping diabetes. But the landscape today is different. The idea of managing diabetes with natural medicinal herbs has been widely accepted in both Asian and Western countries. Hundreds of research projects currently study the natural substances affecting blood glucose levels and diabetes. . Even many western health professionals have now widely accepted the beneficial effects of medicinal herbs. Approximately 1,500 to 2,000 natural substances can clearly control blood sugar levels and diabetes. It is no longer a question of if. It is a question of which – which herbs, and which combination. Eleotin® is the answer to this question. The question, according to Bülgis Principle, was how to find such a combination. There was endless testing. Approximately 1,500 natural substances had the known and relevant beneficial and toxic effects, and the right combination had to be found from them. The current version of Eleotin® is the best natural food product for diabetics in the market today. Over a hundred herbal diabetes products appear on the market year. Most disappear in 6 months. 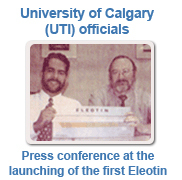 Eleotin® was first produced in 1997. Today, there are approximately 300,000 users. Eleotin® is a health food made of processed medicinal herbs substantially benefit restoring glucose normalcy.Eleotin® contains gentle restorative medicinal herbs. These herbs have two important effects: synergy and mutual cancellation. The herbs mutually strengthen each other’s curative powers of the other herbs. They also diminish the potential toxicity of each individual herb through mutual cancellation. This approach is based on Bülgi’s Principle.This principle states that certain combinations of herbs exist whose total beneficial effects are synergistically larger than the sum of each herbal component’s individual beneficial effect. This superior combination effect may also diminish potential toxicity and reduce adverse side effects. This is achievable by way of mutual cancellation. Why is Eleotin® the Best Health Food Product for Controlling My Blood Glucose? • Eleotin® is a good, safe, health promoting product. Eleotin® is good for everybody whether one has diabetes or not. • Eleotin® increases the body’s own ability to purify or cleanse impurities through urination. This cleansing function also leads to the strengthening of a person’s immune system. “Cleansing” is a normal and natural mode of treatment in Traditional Chinese Medicine (TCM). • Eleotin® is also an excellent source of high quality fiber and provides essential nutrients to a person’s pancreas. The world’s leading diabetes expert designed Eleotin® with diabetics in mind. Diabetic patients need the support Eleotin® the most. As a result, diabetic patients who take Eleotin® receive additional health benefits compared to non-diabetic patients who take Eleotin®. But the components of Eleotin® make it an excellent health food for everyone, even for individuals who do not have high blood glucose levels. These reasons may already be sufficient to convince anyone that Eleotin® is a great health food and a “must” buy. Eleotin® was scientifically developed and tested vigorously at the world renowned Julia McFarlane Diabetes Research Center at the University of Calgary. Other universities and research institutes around the world have tested and studied Eleotin®. The list of such universities and research institutions is constantly growing. Many herbal products do not have clearly identifiable developers/inventors. Most herbal products can only rely on untested anecdotes. Eleotin® is verified to be both safe and effective in animals and humans. Eleotin® is an amazing solution because there are no known herbal products that have been scientifically studied and professionally praised the way Eleotin® has been. University of Calgary and JDMR. These scientific tests made it possible for Eleotin® to be patented. Many herbal products have never been tested for their safety. Not only did the University of Calgary and JMDR vigorously test Eleotin® before its commercial testing, but many government institutions have tested and approved the safety of Eleotin® as well. Diabetes Associations. Furthermore, renowned professional organizations including the Nanjing Diabetes Association, the Korea Diabetes Association, the Korea Pharmacists Association concluded that Eleotin® was both effective and safe. Some even praise Eleotin® as an “ideal cure.” This is very strong statement. Medical Doctors and Diabetes Experts. Many medical doctors and diabetes experts studied Eleotin®, and published their analysis and reports in journals and books. You can read some of these here. Modes of Action. Eleotin®’s modes of action are clearly identified and scientifically supported. This is another huge advantage over other herbal products. This is not good enough. Our body is too precious to be subjected to this. Diabetes is too serious a disease to play something that doubtful. Being an herbal product is not a license to be unscientific or irresponsible. As far as it is known, there is no herbal diabetes product on the market that is more scientifically tested and its effects and safety are more rigorously proven than Eleotin®. As research and development continue to improve Eleotin® even better, this claim can be maintained for quite some time. Over 1,500 herbs and herbal products produce hypoglycemic effects. As far as we know, only Eleotin® shows a clear ability to assist in the gentle restoration of ß (beta) cells or insulin receptors. Most herbal products have “sugar lowering effects by blocking sugar from being digested.” This means they slow down the digestion process. Put another, they simply artificially induce indigestion. Artificially inducing indigestion can be “temporarily” relied upon for blood glucose control. But we cannot rely on it for long. When we do, “leaky gut” problems, and weaker immune systems are just some of the problems that can result. Other herbs stimulate secretion. This can strain an already damaged pancreas. These herbs also provide only temporary relief but not a long term solution. Eleotin®s herbal combination provides a long term solution along with short term benefits. As you learn more, you will discover that there are numerous other reasons why Eleotin® is the best herbal treatment available. Hopefully, you are now a little closer towards seeing many other advantages of Eleotin® for yourself. It can be dangerous to use TCM with pharmaceutical drugs. This is because the modes of action of most TCM are unknown. Eleotin®s modes of action are ascertained and proven, Scientists have identified the important modes of actions of Eleotin®. This makes it possible to use Eleotin® safely in conjunction with conventional pharmaceutical drugs. TCM usually try to promote the body’s health in general. Eleotin® focuses more on the process relevant to diabetes. As a result, the effects of Kanpoyaku on diabetes is often evasive, while Eleotin®’s gentle effects on diabetes are clear and well defined. Furthermore, the ingredients for TCM are often contaminated with herbicides and other toxic chemicals, whereas Eleotin® is produced with natural ingredients that are rigorously screened for safety. Different Paths of Development and Scientific Support. As well, both emphasize the importance of giving a gentle and mild stimulus to the body, instead of delivering intrusive stimuli, which often creates permanent damage. So in many respects, Eleotin® and TCM are very similar. It is no wonder that Eleotin® was accepted in Asia first. But Eleotin® is different form Kanpoyaku, or TCM, in a number of ways. Eleotin® was developed through Western scientific analyses: through animal and clinical tests, pharmacological studies, and toxicological studies. TCM relies on tradition and personal experiences. People often ask us whether Eleotin® is Kanpoyaku—an Asian Herbal Medicine, or Traditional Chinese Medicine (TCM). In fact, Eleotin® and Asian Herbal Medicines are based on a similar methodologies and philosophies. They both try to restore the bodys own capability to heal, rather than chemically overpower the symptoms. They both try to work on the root of the problems rather than the symptoms. They both selectively adopt the most appropriate signals that will promote general health and natural healing. Most traditional Asian herbal restoratives have a profound association with diuresis. Eleotin® and Asian medicinal herbs are similar in this regard too. Both Eleotin® and TCM strengthen diuretic functions. Similar Appearance and Intake Methods. Some Eleotin® is in tea form, and can be similar in terms of appearance and intake method to TCM. Eleotin® contains dried roots, stems, fruit and leaves, all from various plants. These herbal plants are all registered with pharmacopeias and food codes in several countries. In fact, all these ingredients are so safe that in many countries, these ingredients are classified as foods, not as drugs. In many countries, these are the herbs that appear on the dinner table, not unlike the way lettuce and tomatoes appear on our North American dinner tables. All these ingredients have been used for thousands of years in many countries. These herbs are 100% natural and there are no additional fillers, chemicals, or preservatives.